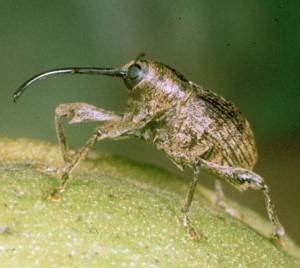 The pecan weevil is a late season nut pest that feeds only on pecans and hickory. The female drills a hole in the nut with her snout and places one to four fertilized eggs within the kernel. 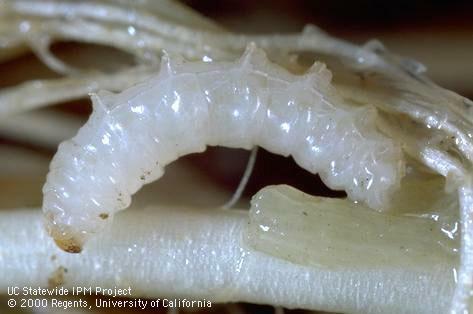 The pecan weevil larvae are creamy, white legless grubs with soft fleshy bodies. 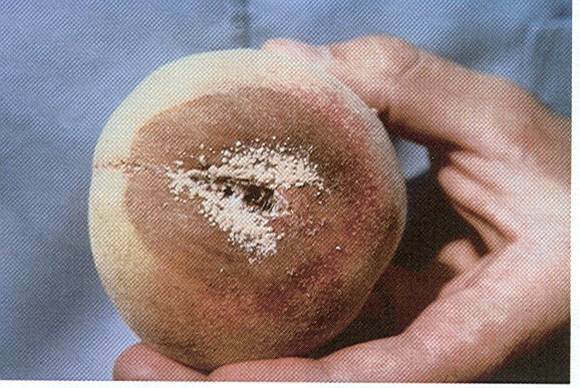 Heavy populations of weevils can destroy all nuts on a tree. 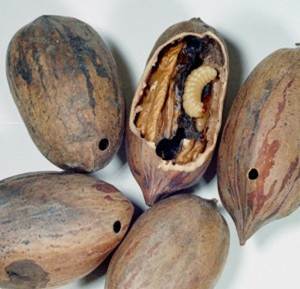 Title: Comparison of application methods for suppressing the pecan weevil (Coleoptera: Curculionidae) with Beauveria bassiana under field conditions. Publication: Environmental Entomology. 2008. 37(1):162-171.